On July 4, Dvir Reznick tweeted: “Automotive company + Employees Fun Day = Go Kart!” As senior marketing manager for automotive cybersecurity at Harman Connected Services, he displays a competitive streak. Often, it’s seen in his passion for playing basketball. But he also brings intensity to his job. DBusiness: What’s the connection between Harman’s Novi office and the company’s operation in Israel? 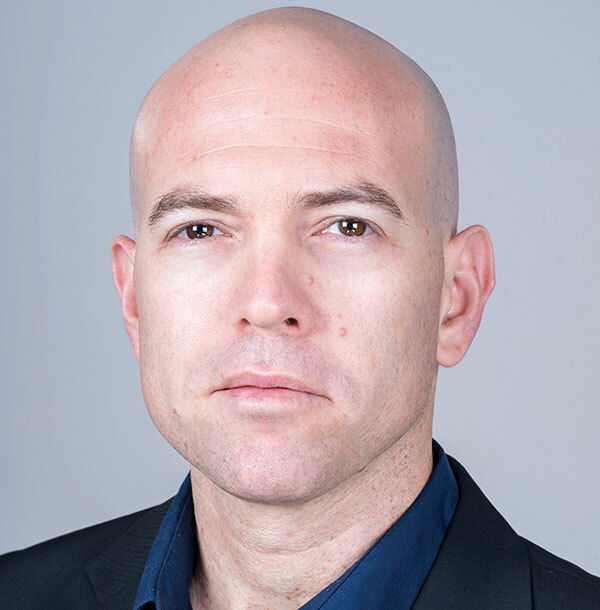 Dvir Reznick: Harman Israel develops software technologies that are being offered to OEMs worldwide, such as cybersecurity solutions, automotive cloud, over-the-air software updates, computer-vision-based augmented reality systems, and more. We conduct regular calls and video calls with colleagues in Detroit, as well as colleagues in other locations worldwide, and travel quite often to meet with customers and partners. Harman Automotive HQ is based in Novi, so we travel to Detroit on business trips, for industry events, and for customer meetings. DB: Are there special challenges in automotive cybersecurity that are most likely to be solved through the Detroit-Israel nexus? DR: Israel is well known for its startup ecosystem, dubbed “Start-up Nation” by Saul Singer and Dan Senor back in 2009. Cybersecurity is one of the hottest industries in Israel and, for the past decade or so, there’s been a flow of automotive innovation between Israel and Detroit. Given Israel’s leadership in cybersecurity and the Motor City’s demand for innovative technologies, the close collaboration is a natural evolution. DB: How do you define automotive cybersecurity? DR: The best analogy is comparing automotive cybersecurity to traditional IT on your laptop or mobile phone. Your laptop is a device connected to the internet, containing your personal data and information, location history, network of friends (address book), business correspondence, and much more. The same way you’d put firewall software and anti-virus software on your laptop, automakers are doing the same for connected cars, each of which has an embedded modem (meaning the car itself has a SIM card). Mostly, the same cybersecurity countermeasures we’re using in traditional IT is applicable to automotive, yet the attack surface for vehicles is growing. For example, with the introduction of advanced driver-assistance systems and sensors, a hacker doesn’t need to gain access to a car — they can manipulate the environment the sensors (and the car) are interacting with. The main difference between traditional cybersecurity and automotive cybersecurity is the cyber-physical aspect: When you hack into a laptop or a phone, you gain unauthorized access to data — harmful, but it remains in the online world; whereas if you manage to hack into a vehicle, you gain unauthorized access to a physical object, a car, with the ability to cause major interference to critical infrastructure.